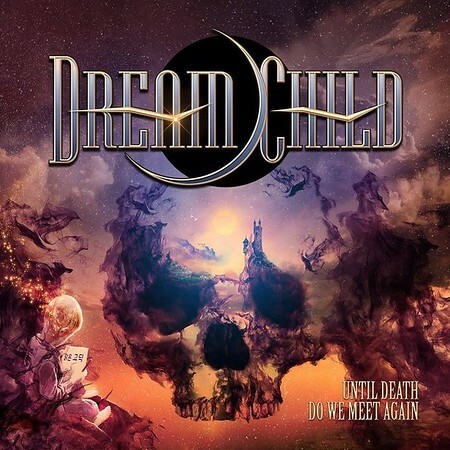 “Until Death Do We Meet Again” is the debut album from Dream Child, a band created by former Dio guitarist Craig Goldy that also includes former Dio members, drummer Simon Wright and bass player Rudy Sarzo. With that line-up the influences should be fairly obvious! The album was released by Frontiers Music on 14th September. I’ve played four tracks from the album on the Friday NI Rocks Show over the past few weeks – “You Can’t Take Me Down” on 29th June, “Under The Wire” on 17th August, “Weird World” on 31st August and “Midnight Song” on 21st September. Dream Child is a project that grew from a conversation between Craig Goldy and Frontiers President Serafino Perugino. The vision being to write songs in the style of Ronnie James Dio and to assemble a band that could deliver that sound. Goldy, Sarzo and Wright were all part of the final Dio line-up in 2010, with Goldy having played in the band in the late 80’s and late 90’s before rejoining finally in 2006. Sarzo joined the band in 2005 and Wright joined in 1998, having previously being a member from 1989-91. Those three are joined by Wayne Findlay on guitars and keyboards and Argentinian Diego Valdez on vocals.